Most of you girls will know that I love nothing than a bit of girly 'me time' pampering, and Friday nights consist of me preparing for the weekend and having a good old pamper with a very hot bubble bath. A face mask is compulsory f0r me and I've tried everything from Superdrug sachets to Dr Nicks jars. One product I find that I keep coming back to when I stop by a Lush is the Cupcake fresh face mask. I've used this for as long as I can remember, my memory goes as far back as when my mum and I went to Edinburgh for a weekend when I was about 10 and she bought loads of goodies for us to try that night in the hotel room. One of those products was this little beaut, and ever since then it's always been a firm favourite of mine. I picked this up from the Croydon branch of Lush when I went to try and grab a popcorn lip scrub but unfortunately they had none in stock as the festive period is over which makes me quite sad. All over for another year I suppose! "Chocolate heaven for oily and teenage skin. Helps absorb excess oil and calm breakouts. Cocoa butter, linseed and cocoa powder soften with balancing peppermint, spearmint and sandalwood oils"
As with all Lush products, this is freshly made using natural ingredients and therefore has a use by date. I've had the pleasure of using this for a few years, but by the pot I only have around two weeks. I always feel a little upset when I start to scrape the barrel as it means I have to schedule a trip to Westfield to stock up on all of my favourites. I think that £5.25 is a very reasonable price for such a great product which I can use up to three times, maybe even four. 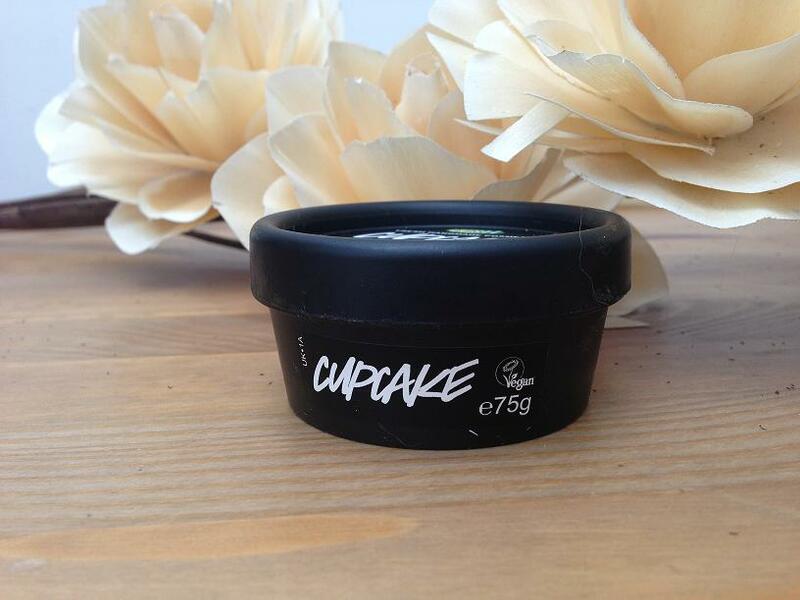 As with all Lush products, the packaging is pretty standard; just your bob basic black pot with white chalk effect writing. But as with all products, it's what's on the inside that counts. My boyfriend has actually made a few comments about this stinking to high heavens but I absolutely adore the smell. Granted it doesn't smell like your typical bar of Dairy Milk, but I would describe the smell as a stronger cocoa butter smell. 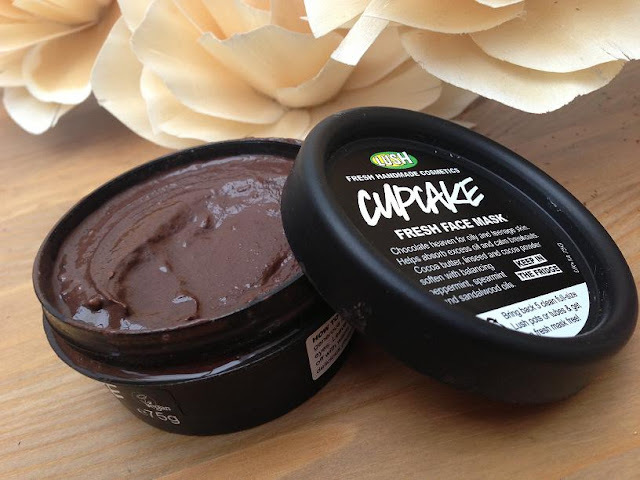 It's a very thick and creamy consistency which of course applies to my face like a dream, and dries almost in seconds into a clay/mud based product. I definitely notice a difference in the appearance in my skin after I use this. My usual oily T-Zone is calmed down to a slight 'shimmer' rather than an oil slick, and I can't begin to explain how soft it leaves my skin. Because it's a natural product, you can use it more regularly. There is a time limit on all Lush products, and I think I have another week or so to finish my pot off. Out of every pot I'd say you could get about 4 uses, so that means two face masks a week! 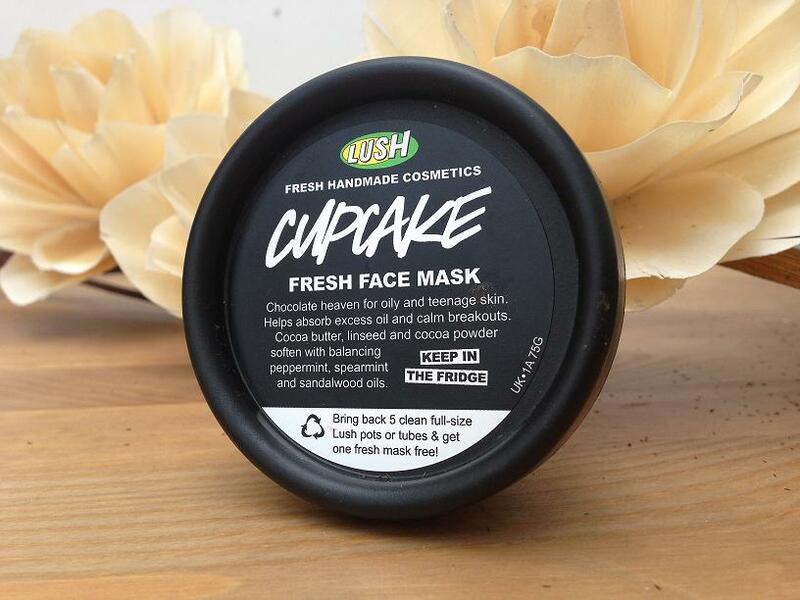 Have you tried any Lush fresh face masks? What's your favourite? sorry i posted with an old account lol !